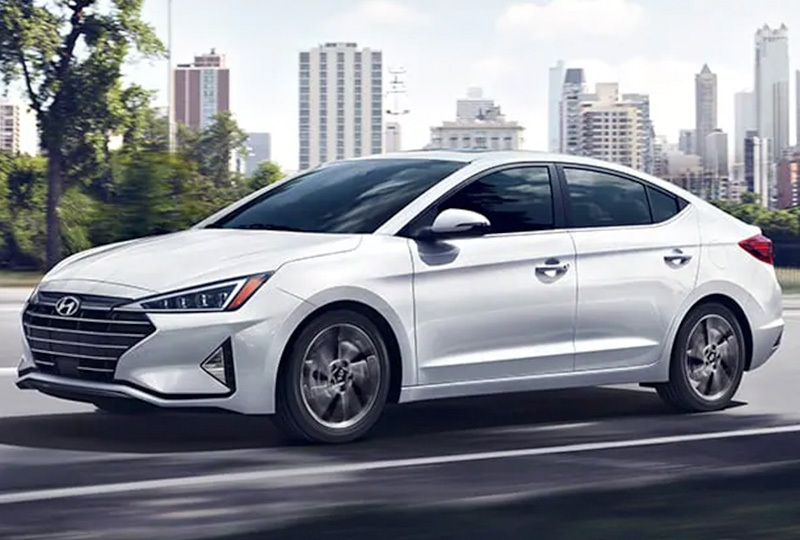 The 2019 Hyundai Elantra from Hyundai of Greer in South Carolina - serving Greenville, Spartanburg, Easley, and Simpsonville - provides everyday convenience and comfort for modern drivers. The newly designed exterior offers incredible features like standard, dual-fold away power side mirrors and an available hands-free smart trunk. Conquer your morning commute with the aggressive 2.0L 4-cylinder engine that delivers exceptional fuel capabilities with up to 26 MPG in the city and 36 MPG on the highway.1 Accept calls on the go or stream your favorite tunes through the 5-inch touchscreen entertainment system with the standard Bluetooth® hands-free phone system. Open garage doors or programmable gates using the available HomeLink® universal remote that connects seamlessly for added convenience. Back out of the driveway with confidence using the standard rearview camera that shows dynamic guidelines to help you navigate with precision. Now is the best time to buy a new Hyundai! The 2019 models are here and the savings are unbelievable. Take a test drive today, and see why so many people choose Hyundai. Visit our showroom located at 14435 East Wade Hampton Boulevard in Greer. Your dream of owning a 2019 Hyundai Elantra can become a reality at Hyundai of Greer! 1. EPA estimated mileage. Actual may vary based on driving conditions. Style That's All New. Innovation That's All Now. The pride and satisfaction that come when you feel that everything was worth your while. That's what Elantra has always been about. Attention to detail in design, performance and fuel economy. Higher expectations for safety and convenience. Thoughtful conveniences and smart technology touches that bring a smile of satisfaction. And now with a bold new look, we've created an Elantra that appeals to your head and heart like never before. A wide design in the new Elantra gives a feeling of open space that's as relaxing as it is accommodating. With a sharp updated instrument panel and smart center stack design, Elantra's got plenty of advanced tech to keep you in touch, entertained anywhere you go. No need for wires. No wasted time searching for wires and plugging in. Simply place your Qi-compatible mobile phone on the pad and arrive at your destination all charged up. 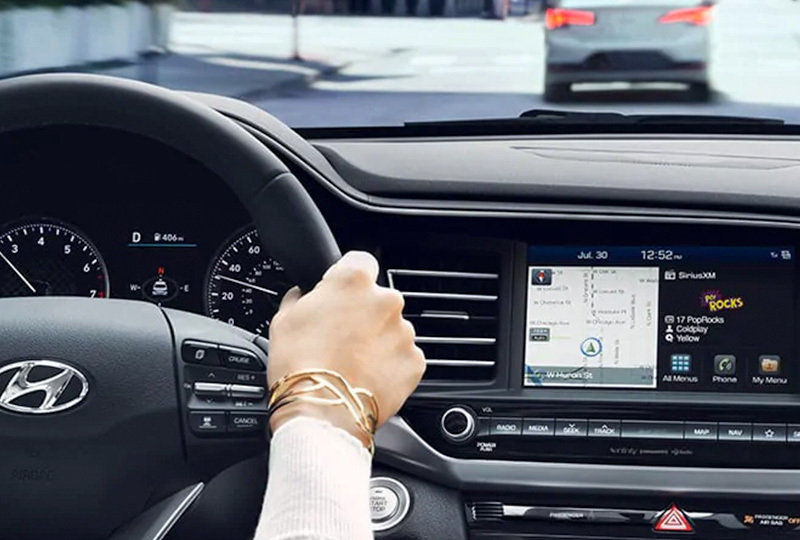 Elantra's available 8-inch multimedia navigation system keeps you focused on driving with quick access to navigation and entertainment. 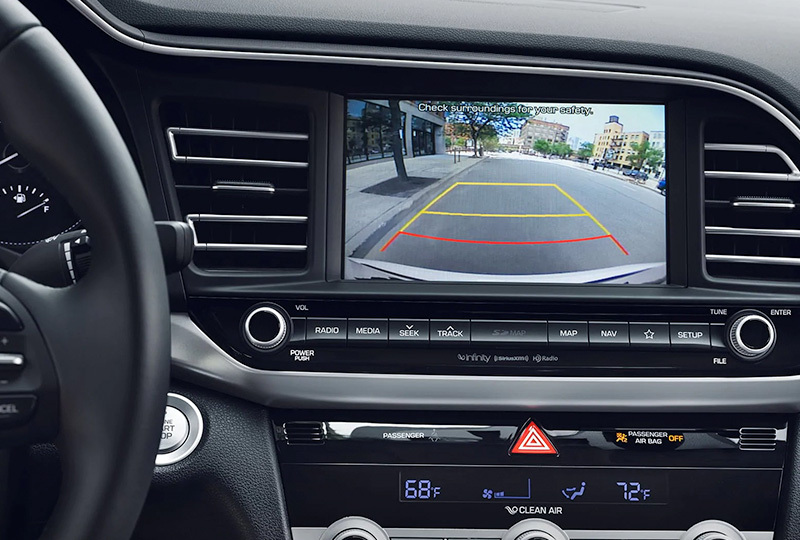 Its standard rearview camera also features parking guidelines to help you back up and park with added awareness for safety. 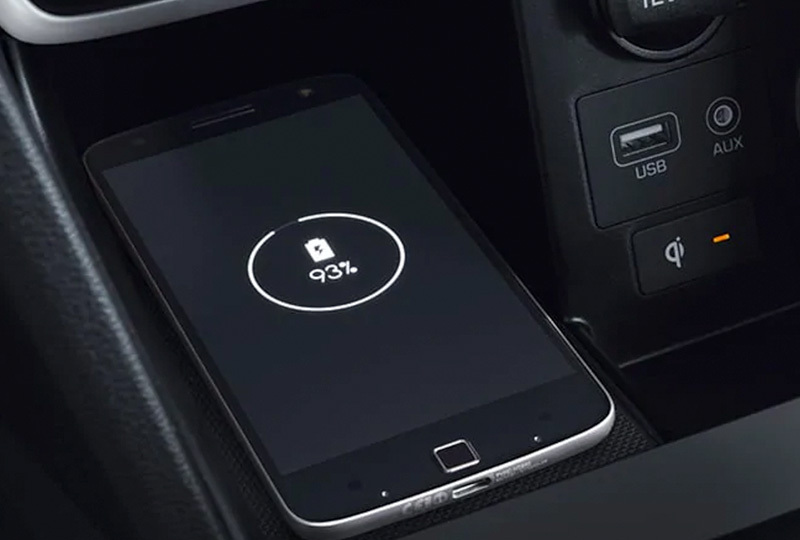 *Qi wireless charging function is based on smartphone compatibility and/or specific accessory cases.